It’s wonderful to see others playing and performing. Such a feeling of accomplishment when arranging a score from intro to voicing and ending. It doesn’t matter if it’s not perfect. It’s the journey of music education and joy of learning that’s important. I was so nervous when videoing I could hardly play. I have such performance anxiety but this is helping me overcome this. I will video ‘Over The Rainbow” in the near future as I have now completed my arrangement. I am learning so much here at pianogroove. I am just a beginner here with a goal of learning and playing each piece from into to ending with the skills learned as I advance in my music education. I hope the video’s will help me see my improvements in this journey and inspire me to work even harder towards my goals. I welcome any advice on how to improve and advance my performance skills. I agree it’s wonderful to see others playing and I’ll be sharing more of my performances in the coming weeks. As you say it doesn’t need to be perfect, that’s one of the things I like about playing jazz; there’s a lot of freedom in the music. I can also relate to the performance anxiety! But I do find that the more I play for others, the easier this becomes. I’ll always give my feedback and advice on any performances shared in the forum so keep them coming! I’m currently in NYC working with Lyndol and Tuomo on some new initiatives for the Practice Inspiration section of our forum. It’s all coming together very nicely and I’m excited to unveil what we have been working on. There will be 2 new sections - aiming to launch this week. The first is a Vocal Accompaniment Section. We have created vocal play-a-long tracks where we can practice our accompaniment skills using a backing track with Lyndol’s vocals. There is also space in the tracks when we can take a solo for 16 or 32 bars. 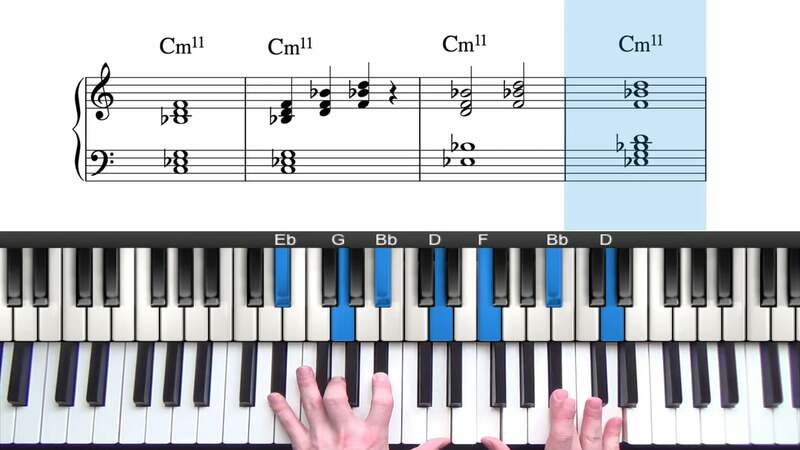 The second is an Improvisation Exercise Section. We can all take part in these weekly improvisation exercises set by Tuomo. The aim is to improve our listening/transcription skills and each week give students new pieces of jazz vocabulary that we can use in our own playing and arrangements. These 2 new sections will add a new dimension to our Practice Inspiration Area and give us more things to share and collaborate on. More to be announced shortly. Isn’t it silly? I am alone in the house with three cats, I have the ability to DELETE the video if I don’t like it… but sure enough, there is performance anxiety. Once I submitted one video (with all its little mistakes) I felt better about it. And this PianoGroove community is so supportive. Just go for it and realize we each have some uniqueness in our style, and we are all in the learning curve on this journey. Play and have fun. Over the Rainbow. First take. Less performance anxiety the more I /video. Bravo Dr. Dean! Just beautiful! Thank you for sharing. I will aspire to play as well as you. Very nice Doctor D. Always a pleasure to hear your performance. That was lovely and so inspiring. Please keep posting your arengements and one day others will follow. I’m not brave enough but one day I will follow your example. Thanks. After listening to this several times. I realized I need to enhance the melody as the cords seem to be overpowering this. I think I should also memorize this so I could play it in a more fluent relaxed emotional manner. When you video a performance and then listen to it several times you realize how you can change your playing to improve the listening experience and improve your piano skills. I’m waiting for a beautiful arrangement of something like “In the garden “with extended cord voicings. It was my favorite hymn and I know you can do it. I was meaning to write some feedback on your performance and I thought I’d wait to have a piano in front of me so I could demonstrate for you. Exactly as you say, the melody is very important and we must ensure that it shines through our chords and harmony. One thing I like to do when playing this tune is alter the dynamics between each section. I like to start quietly with simple chords, and then add more emphasis and ornamentation to the melody as the tune develops. ps. the piano is a little out of tune… it’s my old childhood piano which is rarely played/tuned. I look forward to having my own grand piano like yours one day Cheers! Thanks so much for your advice. I will study the upper structure triads. Start with simple chords softly and enhance the melody. Control the volume increasing as the piece progresses and add more complex chords as needed. I like the upper structure triad runs and fills that set the mood. Just received hearing aids and now hear the upper 3 octaves of the piano. They seem loud to me but on the video they were soft. My hearing should accommodate to this in the next few weeks. When starting on a new tune, I try to find as many versions as possible on Spotify/YouTube and just listen to them for a week or so before playing the tune. This is a great way to find inspiration for melodic embellishments, different ways to phrase the melody, fills, runs, and other ornamentation. The fun part is then incorporating all of this into our own arrangements. Definitely check out the upper structure triad course and I think you will enjoy adding those sounds to your arrangements. Looking forward to hearing more of your playing! Or maybe you are looking for a post where all your own videos could be together, in this case it would be better to mention your name in the title . Yep i agree Pierre… i will merge this post into the existing one. I agree but not sure how to do this. Confused on this end. What link do I post to when upload video? Thanks. Dr. Dean. Just returned from week cruse. Hope you enjoyed your cruise Dr Dean! Basically, there were 2 threads with a similar title “share your recordings” and so it made sense to combine them to keep things organised. I’ve already merged them so now we just have this one thread “Share Your Music, Recordings & Performances” for us to share our videos in. To upload in future, simply hit the gold “Reply” button at the bottom this thread, instead of creating a new one, and this will keep all of our shared videos in one place. I’m working on an arrangement of “Unforgettable” and I think that will be my next performance to share Cheers. I love Unforgettable!!! Are you also going to do a lesson on it? I hope so! But of course you are!!! I see that it is was rated second in our voting category for ballads!!! Yes that’s right, I’m working through our ballad voting list - next up “Unforgettable”. I’ll be making 2 tutorials, one beginner level, and also a more advanced one.